Many conferences have been developed to help policy makers understand the impacts of marijuana legalization. We at DUID Victim Voices have been occasionally requested to provide a perspective that differs from that of the marijuana lobby. These requests led to writing Skydiving without a Parachute that was recently published by the Journal of Addiction Medicine and Therapy. 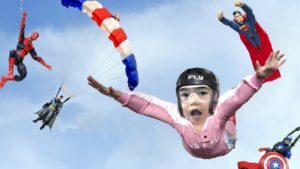 “Skydiving” likens legalization of marijuana without first knowing how a state will deal with the resulting DUID cases, to skydiving without a parachute. The article describes the history of how Colorado made this tragic mistake, describes how states have attempted to deal with DUID statutes, and discusses eight alternative strategies that may be considered by states as they consider legalizing marijuana. Finally, the article proposes 10 model laws that ought to be considered by states, whether or not they choose to legalize marijuana, or any other impairing drug.